Transfer case can be identified by an I.D. tag, located on rear case. I.D. tag provides model number, serial number and low range ratio. Date of manufacture is the serial number (I.D. number). This information is necessary when ordering parts. Model 231 transfer case is a part time, chain-driven, 4-position unit with 2-piece aluminum case. Torque input in 4WD high and low range is undifferentiated. 2WD operation is achieved by a vacuum shift motor. Shift motor disconnects right front axle when 2WD is selected. Vacuum shift motor is controlled by a vacuum switch located on front of transfer case and actuated by shift sector. 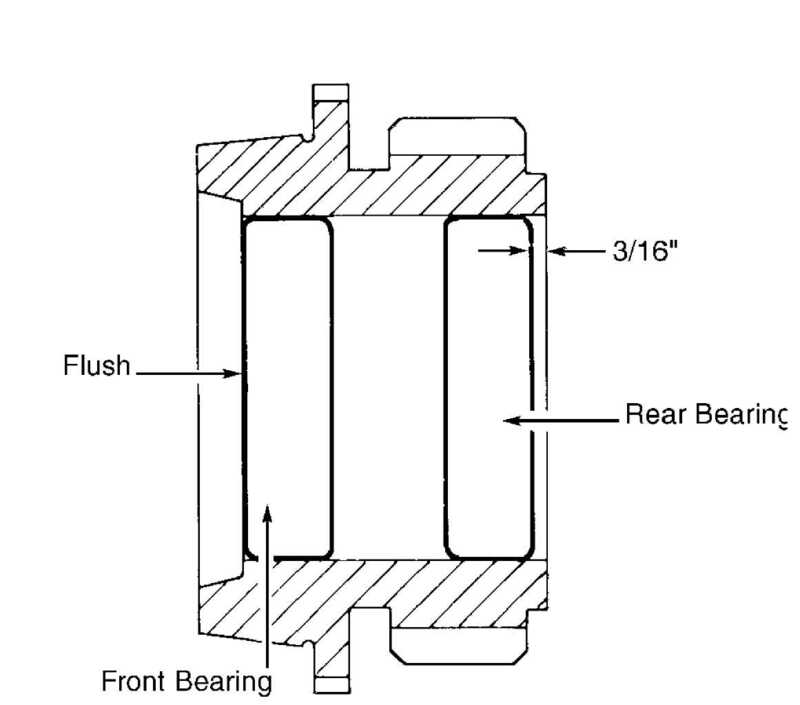 Shift transfer case to 2H position. Raise and support vehicle. Loosen lock bolt at trunnion. Ensure linkage rod slides freely in trunnion. Verify transfer case range lever is fully engaged in 2H position. Tighten lock bolt at trunnion. Lower vehicle. Check shift linkage operation. Ensure transfer case shifts into and operates properly in all gear ranges. Remove shift lever knob retainer. Remove shift lever knob. Remove floor console. Place shift lever in Neutral. Pry control cable end from shift lever. Loosen control cable lock nut. Check transfer case to ensure it is in Neutral. Ensure shift lever is in Neutral. Turn shift lever end of cable in or out as needed until it is aligned with shift lever. Install control cable on shift lever. 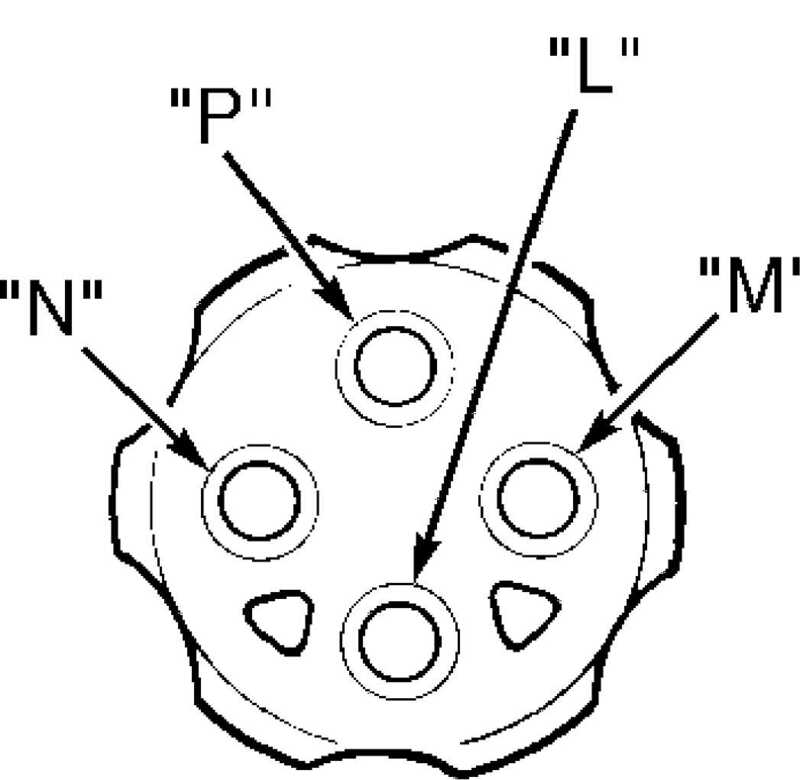 Tighten control cable lock nut. Shift transfer case to 4L position. Raise and support vehicle. Loosen lock bolt at trunnion. Ensure linkage rod slides freely in trunnion. Verify transfer case range lever is fully engaged in 4L position. Tighten lock bolt at trunnion. Lower vehicle. Check shift linkage operation. Ensure transfer case shifts into and operates properly in all gear ranges. transfer case. Apply 15 in. Hg vacuum to "L". See Fig. 1. Vacuum should be present at "M". Connect a vacuum gauge to "N". Shift to 4WD position. Apply vacuum to "L". Vacuum should be present at "N". If switch fails any test, replace switch. Fig. 1: Testing Vacuum Switch Courtesy of Chrysler Corp.
Will Not Shift Or Difficult To Shift Into Gear Vehicle speed too high; slow vehicle to 2-3 MPH to shift. Vehicle operated too long on dry paved surface; stop vehicle and place in Reverse or Neutral to relieve driveline torque. Ensure transfer case external linkage is not binding. Ensure correct fluid is used. Internal parts may be worn or damaged. Check fluid level. Ensure correct fluid is used. If fluid is okay, locate possible internal mechanical problem. Transfer case not completely in gear; check shift linkage. Range fork damaged. Shift fork pads are worn or shift fork binding. Low range gear worn. Transfer case overfilled. Vent plugged. Output shaft seals are damaged or not installed properly. alignment reference. Remove front drive shaft. Remove flange. Discard washer and nut. Using a screwdriver, carefully remove oil seal. Ensure seal contact surface is clean. using alignment marks. Check transfer case fluid. alignment reference. Remove rear drive shaft. Tap extension housing in a clockwise direction and remove extension housing. DO NOT pry on extension housing. Using a screwdriver, remove oil seal from extension housing. housing. To complete installation, reverse removal procedure. negative cable. Raise vehicle, remove skid plate and drain fluid. with orientation tab at upper left bolt hole. specification. See TORQUE SPECIFICATIONS. Install rear crossmember. battery cable. Road test vehicle. Remove oil pump pick-up screen and tube from rear case. and shift rail from synchronizer sleeve. drive sprocket. Slide range fork pin out of sector. range lever from sector shaft. Remove shift sector, bushing and "O"
retainer. Remove input gear snap ring. thrust washers and input gear from low range gear. Remove all oil seals. Remove magnet from front case. bearing. Press input gear bearing from front case. puller and slide hammer, remove output shaft rear bearing. Fig. 2: Exploded View Of Transfer Case (Model 207) Courtesy of Chrysler Corp. Fig. 3: Exploded View Of Transfer Case (Model 231) Courtesy of Chrysler Corp.
Clean all parts with solvent. Dry with compressed air. Replace all oil seals, "O" rings and snap rings. Check all parts for wear or damage. Replace all worn or damaged parts. If low range annulus gear inside front case is damaged or worn, front case and gear must be replaced as an assembly. 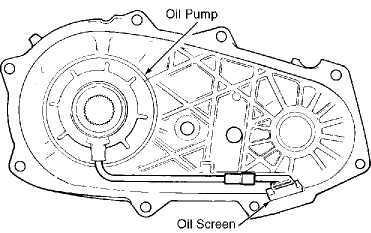 Replace oil pump as an assembly if any part is damaged or worn. NOTE: When installing bearings, ensure bearing bores are aligned with oil feed holes. 1) Lubricate all parts with Dexron III before installing. Install output shaft front bearing with NEW snap ring. Install output shaft oil seal in front case. Install snap ring on NEW input gear bearing. See Fig. 2 or 3.
range gear, input gear, thrust washers and retainer. input shaft gear into bearing. CAUTION: DO NOT press against end surfaces of gear. Failure to use proper size tool could lead to gear case or thrust washer damage. case. Install retainer on case. Tighten bolts to specification. spring and plug. Tighten to specification. See TORQUE SPECIFICATIONS. Ensure range fork pin is engaged with range sector slot. sprocket on mainshaft. Install synchronizer stop ring on mainshaft. Ensure stop ring is seated. Install synchronizer hub on mainshaft. seated in both range fork bushings. snap ring. Install extension housing. Install front companion yoke. Install NEW gasket on vacuum switch. Install vacuum switch in case. Fill transfer case with Dexron III. Fig. 4: Installing Drive Sprocket Bearings Courtesy of Chrysler Corp. Fig. 5: Identifying Oil Pump Screen Position Courtesy of Chrysler Corp.
Front Case-to-Rear Case Bolt Chrysler Corp.
For vacuum diagrams, refer to appropriate VACUUM DIAGRAMS article in the ENGINE PERFORMANCE section.